Although gambling in Cuba is currently outlawed, the country is definitely no stranger to games of luck. Havana, the capital of Cuba, is considered by many to be the precursor to Las Vegas. In the 1940-1950s Havana was pretty much the world’s largest gambling hub. Casinos were legal at the time and casino licences were granted to companies who invested sufficient amounts of money in tourism (mostly building casino & hotel resorts). In 1959, shortly after overthrowing Fulgencio Batista, Fidel Castro banned all forms of gambling. * Several casinos and slot machines were demolished, and gambling has been illegal ever since. Still, gambling in Cuba remains a tradition, and games of luck are still played illegally in underground gambling dens. However, anyone involved in operating an illegal casino may face charges, a fine and possible imprisonment. Players too are be prosecuted and even imprisoned for illegal gambling, though it’s rare. Online gambling is not specifically regulated in Cuba, but is also considered illegal, because of the complete ban on gambling. There are no reports on whether players are prosecuted for participating in online gambling or not. Some foreign, offshore online casino operating outside of Cuba still accept players from the country (see below). Prior to the ban on gambling, Havana was a huge favourite among American tourists looking to travel, have fun and to play in exotic casino. Experts say there might be a chance of the situation changing and casinos might be returning to Cuba. 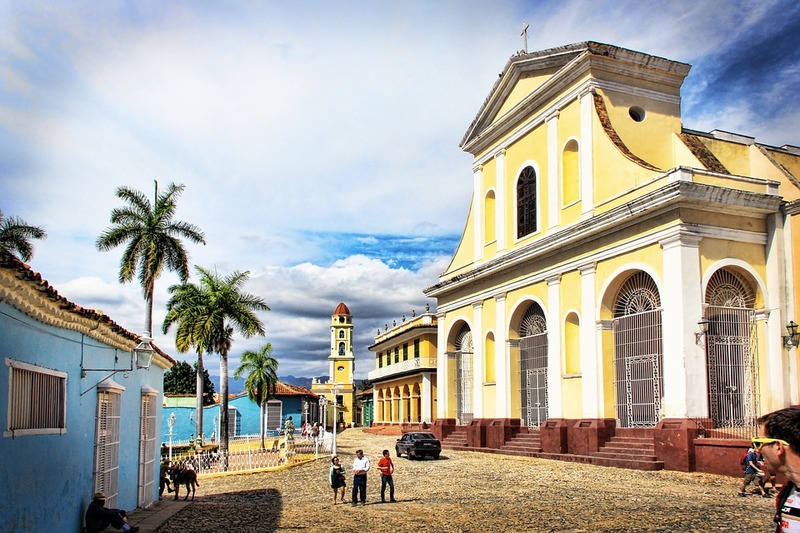 ** Diplomatic relations between the US and Cuba were restored in 2015, which means American tourists are once again free to visit the country. With the huge potential revenue American casino giants will definitely try everything to make Havana the casino gambling hub it once was (the Las Vegas of the Caribbean). How successful these efforts will be, remains to be seen. Casino gambling is illegal in Cuba, outlawed by Fidel Castro in 1959. Prior to that, Cuba and specifically Havana was a huge centre for casino gambling. 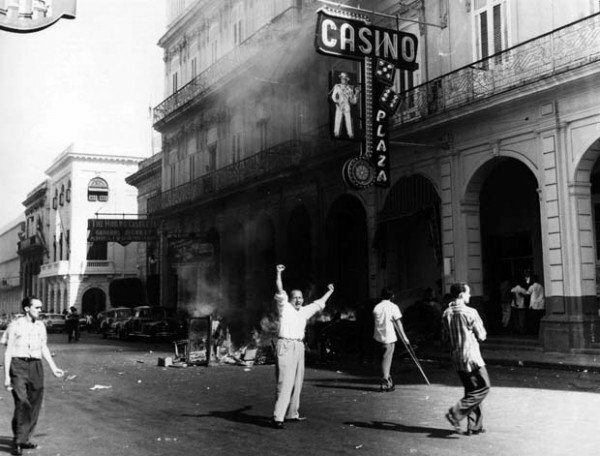 Cuban casinos were especially popular among American tourists, who at the time had less opportunities to visit casinos in the USA. Online casino gambling, although not specifically mentioned, is banned along with all other forms of gambling. Players caught gambling online may be prosecuted, though there are no reports of such cases. Also, internet in Cuba is heavily censored, and many foreign casino gambling sites are reported to be inaccessible. With the restoration of diplomatic relations with the US, there is some hope of casinos returning to Cuba. Even if that happened, it would take years to build up a competitive casino industry, and experts see no chance of Cuba rivaling, Las Vegas or Macau anytime soon. Bingo is a form of gambling, and is illegal in Cuba if done for profit. For profit bingo had legal, but was banned along with all other forms of gambling by Fidel Castro in 1959. There are no legal bingo halls in the country, though illegal clubs may be in operation. The ban on gambling extends to online bingo as well. However, it is not know whether this is enforced or not. Poker is illegal too, despite the fact that poker is often considered a game of skill and not a game of chance. Poker was banned along with all other forms of gambling by Fidel Castro in 1959 (,which means Cuba considers poker a form of gambling and not a game of skill). There are poker rooms in the country, though illegal clubs may be in operation. The ban on gambling extends to online poker as well. Cuban citizens operating illegal online poker sites may be fined or imprisoned. However, it is not known, whether players are prosecuted or not. Sports betting is currently illegal in Cuba. Sports betting too was banned along with all other forms of gambling by Fidel Castro in 1959. There are no legal betting shops or sportsbooks in the country, though illegal organisations may be in operation. The ban on gambling extends to online sports betting as well. Cubans operating online sports betting sites may be fined or imprisoned, and players may face prosecution as well. However, a few offshore online sportsbooks accept players from Cuba. Lotteries are currently illegal in Cuba. Lottery had previously been legal, but was banned along with all other forms of gambling by Fidel Castro in 1959. There are no legal lotteries in the country, but there is an extensive underground lottery. The lottery is called La Bolita, and is immensely popular in the country. Numbers are chosen secretly at certain “bookies”, and interestingly the numbers of La Bolita are the last two digits of the Venezuelan lottery. The government seems to tolerate La Bolita for now, even tough gambling is illegal in the country. The ban on gambling extends to online lotteries as well. Operators of online lotteries will be fined and/or imprisoned, and players may face prosecution as well. However, some foreign online lotteries let players from Cuba purchase lottery tickets online. Bitcoin gambling is not specifically regulated by Cuban laws, but all forms of gambling have been illegal in the country since 1959. I can recommend any Bitcoin casino, that would accept Cuban players right now. This guide focuses on gambling, online gambling and various forms of casino gambling in Cuba.